AIRFIX IS ON A BUSY release schedule at the moment. Here's a fine 1:72 scale kit for World War II aviation buffs. 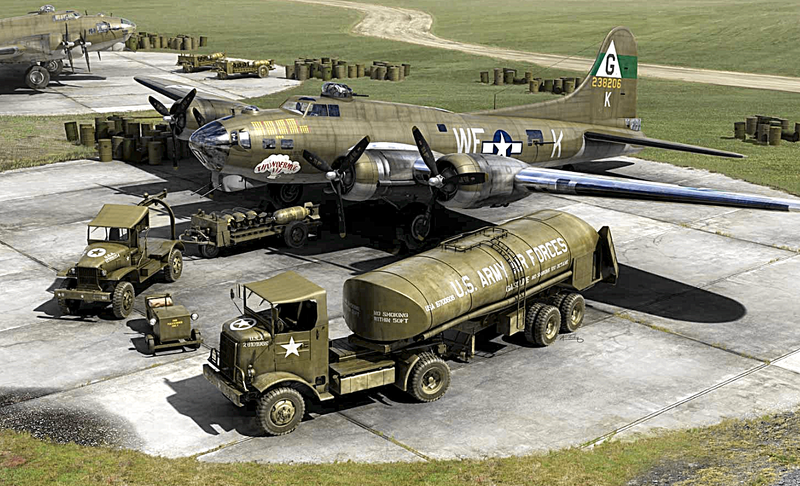 SMN report: The excellent Boeing B-17G and Bomber Re-supply Set have been combined in one box. For diorama lovers, the pairing of these two is a natural, unless you are into box collecting. We appreciate the importance of a 'mint and boxed' scale model, especially in the diecast collectible market, but here it's a convenient way of having all those vital components neatly gathered together. So, an excellent double-kit, and we look forward to seeing some brilliant airfield dioramas in times to come.